Give your business an established, professional appearance with a mailing address at a class "A" professional office building in Santa Ana. 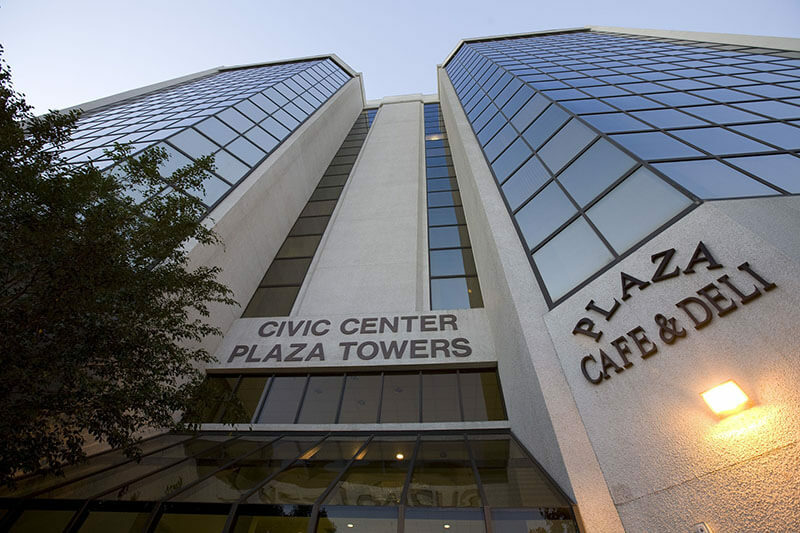 The Civic Center Plaza Towers is an 11-story office building located in the strategic heart of the downtown Santa Ana business district. With a business mailing address and virtual mailbox located at Civic Center Plaza Towers in Santa Ana, your customers, prospects and vendors can lookup your mailing address on Google Maps or similar mapping software and see a multi-story office building which helps project a professional, established image for your business, and at a fraction of the cost for leasing office space. See the mapped image on this page for an actual view of what your customers, prospects and vendors would see by looking up your business mailing address at 600 W Santa Ana Blvd Ste 114A, Santa Ana, CA 92701. Your Santa Ana business mailing address also provides a digital mailbox providing the convenience being able to manage your postal mail from your mobile phone, easily filtering out non-critical mail, saving you time and allowing you to focus on growing your business.